Ferris attended the U.S. Naval Academy at Annapolis and graduated 256th in his class of 260 in June, 1921. His middie cruise may have been on the USS Kansas. LCDR Floyd Franklin Ferris was in command of the USS Kane from some point in 1937 until she was decommissioned Apr 28 1938. Cruiser Raleigh (CL-7) arrived at Gibralter 27 September 1936 as flagship of Squadron Forty-T commanded by Rear Admiral Arthur P. Fairfield. 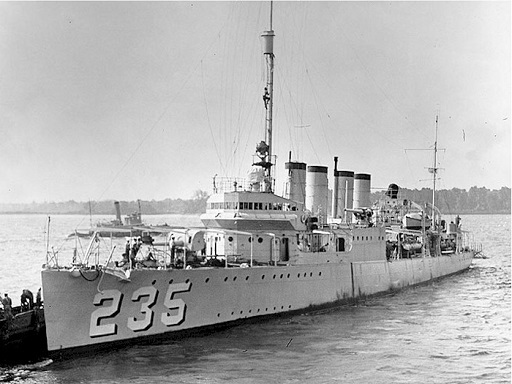 This special squadron, initially comprising Raleigh, destroyers Kane and Hatfield, and CGC Cayuga, saved hundreds of American and other nationals from the dangers of the war in Spain. Kane and Hatfield were relieved by destroyers Claxton and Manley 9 November 1937 and sailed for home. 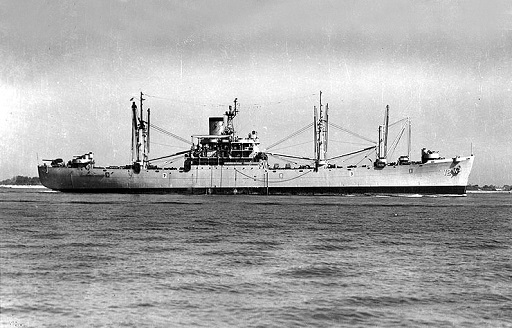 Kane entered the Charleston Navy Yard 22 November and decommissioned 28 April 1938. It isn’t clear if Ferris commanded the Kane at the time of her relief in Spain. The admiral married Alwilda Beverlin Jarden in 1923. They had one child, a daughter who carried her mother’s name. Ferris died May 24, 1966 and is buried in Arlington National Cemetery. Much of this information has been obtained from a .pdf about Rear Admiral Ferris found at NavSource.